How Marketers Are Using Chatbots To Increase Sales! In today’s day and age, everything is going digital. Nearly everything is becoming automated or streamlined, and businesses are increasingly looking for new ways to implement cutting-edge and innovative technology like artificial intelligence, virtual reality, and augmented reality. For instance, in recent years, AI-equipped chatbots have become the talk of the town when it comes to modern business. 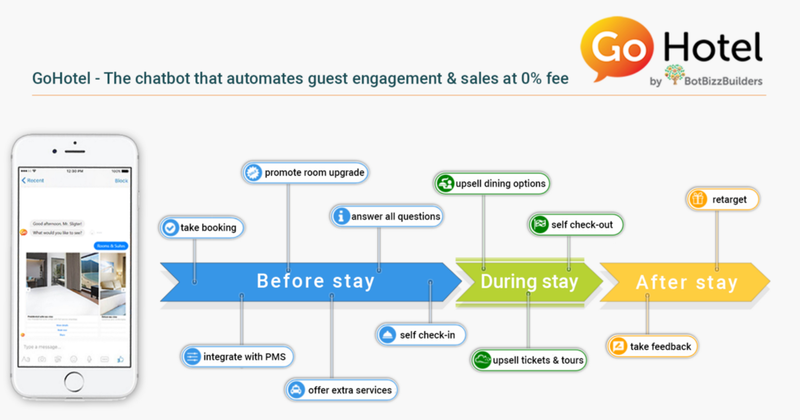 Not only do these bots allow businesses to connect with their customers in new exciting, engaging, and interactive ways, it also helps them streamline some of their customer service processes. 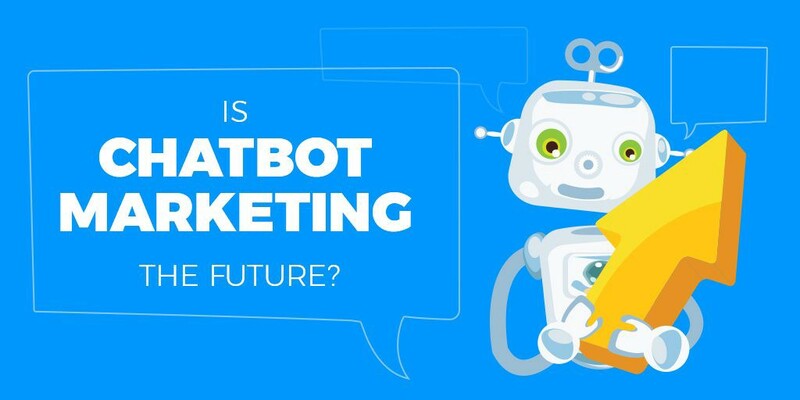 Furthermore, chatbots have become so popular among businesses, that they have even made their way into the marketer’s arsenal of marketing strategies. How? Read more below! Chatbots run off of artificial intelligence technology, so they have the smart technology needed to compile data, analyze it, and then make informed decisions based off it. 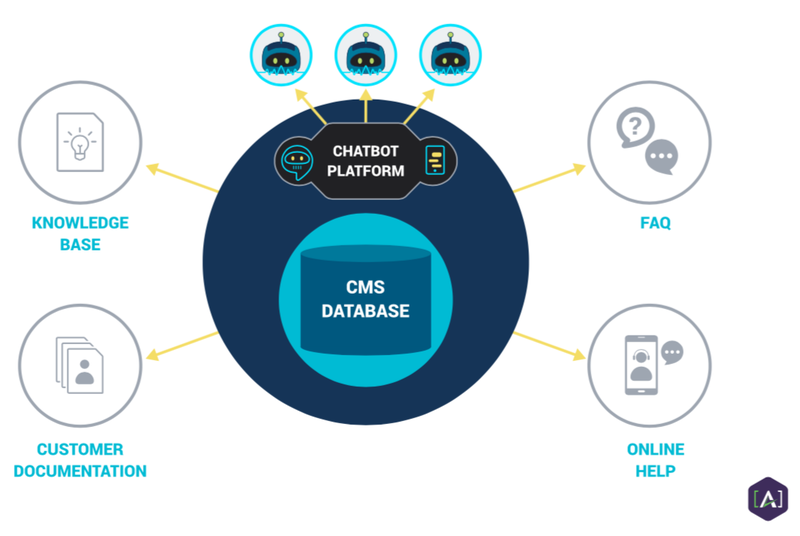 When interacting with customers, this technology allows a chatbot to recommend content to customers based off of previous conversations, purchase histories, and other buying trends, totally unique to the individual customer. In today’s day and age, the goal of every marketing specialist is to figure out a way to personalize a product, service, or an experience for every unique customer. Now with chatbots, marketers can do just that! Picture this, imagine you messaged a chatbot for an online retailer inquiring about the availability of a specific product. The chatbot may answer your question first, but then it could recommend a similar product that customers also look at when purchasing the product you had originally inquired about. Now, this is something we see all throughout online retailers, right? But here’s the difference — that chatbot can now message you upon your next visit with a bunch of different recommendations based off of your previous conversations. Not only can the chatbot recommend products for customers, but it can also then talk about those products in real-time. Customers can interact with the chatbot about different products, ask about potential differences between multiple products, and even ask for recommendations based off of recent reviews! Essentially, each individual customer now has their own personal chatbot shopper, completely tailored to their individual tastes, interests, and preferences. Pretty amazing isn’t it? You could easily see why chatbots are a marketing specialist’s dream! At the end of the day, everything comes down to results. For businesses, this is no different. Marketing specialists are constantly tasked with finding ways to drive business through digital means. Chatbots serve as the perfect vehicle for this to happen. And as the world becomes increasingly more geared towards digital technology, you can be sure that businesses will also adapt towards the same. Driving results means connecting with customers and clients on more than just the surface level. Customers expect a personalized experience now more than ever, and chatbots are exactly what’s going to get them there! The best way to explain just how marketers are using bots to drive results is imagine the idea of a funnel. There’s the top of the funnel, where ingredients (in our case, users) are poured in. Then there’s the middle of the funnel, where a mixture of ingredients sort themselves out. Then there’s the bottom of the funnel, where everything comes out in a slow and flowing motion. Here is a look at the typical website funnel vs a chatbot funnel. In the marketer’s eyes, once users are first introduced, the key is to make sure they are taken care of well enough to keep them coming back for more (middle of the funnel). Chatbots are really good at finding out what those interests are and then automatically sending users the right messaging thereby increasing their desire. Once their desire is increase, their odds of buying go way up! After the user purchases, the bot can then be used to send them order updates, as well as handling logistics like shipping and tracking, and even be used to up-sell similar products! Bots can manage the entire customer journey from discovery, to desire, to purchase, to delivery, to purchasing again. Now, here’s where the bot comes in. This is precisely where a bot can help to draw customers in to your business, goods, or services. Bots can help to draw customers in through email campaigns, bot marketing, homepage engagements when users visit your website, and even popups on relevant websites. Whatever you can do to ensure that your bot engages potential users early on will ultimately help to draw customers to the top of the funnel. 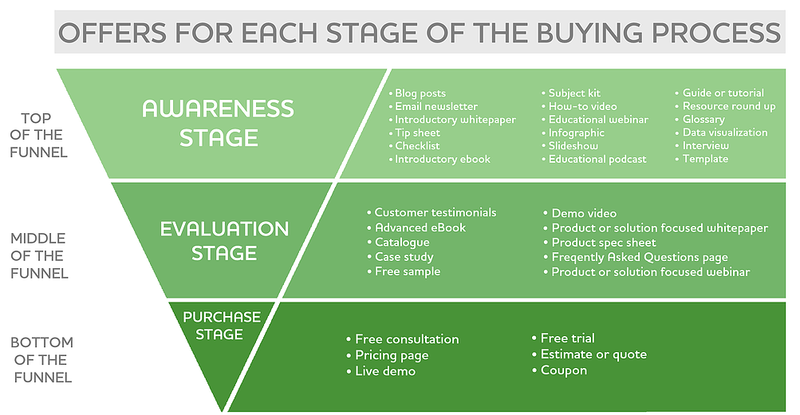 The middle of the funnel involves everything from purchases, transactions, the exchange of services, etc. This is exactly where everything occurs, and the best way your bot can help out is by ensuring that everything runs smoothly. For instance, your bot can help to provide support by reaching out to customers and making sure that they’re satisfied with their product or service. The bot can help users diagnose potential problems or issues that may arise, and the bot can help to design a personalized solution completely unique to each user. This is the real spot where your bot can shine! After your users have completed their purchase, abandoned their cart without a sale, or are seeking shipment and tracking information, your bot can be programmed to reach out to them personally with details related to their specific purchase, their unique order, or items that they have viewed through your website. It can help to recommend other products, offer them a coupon to convince them to pick up that once-abandoned cart, and send out detailed tracking information so that your users can be sure of exactly when they can expect to receive their order. The key here, is that your bot needs to make it clear that it doesn’t simply forget about the users who complete a sale or leave their products behind without purchasing them. Remember, in an increasingly-digitized world, the most important thing business can do is creating a completely personalized user experience — and bots are no different! If you need a plug and play Chatbot Solution for your E-Commerce store check out GoBeyond. Need a website bot? If you’re looking to connect with your customers or clients on a more personal level, give .BOT a shot! .BOT is a domain registry service that allows companies to easily register domains for their bots and integrate them into their current workflow. We recommend using the .BOT domain to get it all started. Here is the full tutorial on how to add a chatbot to your site in 7min. How Marketers Are Using Chatbots To Increase Sales! was originally published in Chatbots Life on Medium, where people are continuing the conversation by highlighting and responding to this story. Source: How Marketers Are Using Chatbots To Increase Sales!